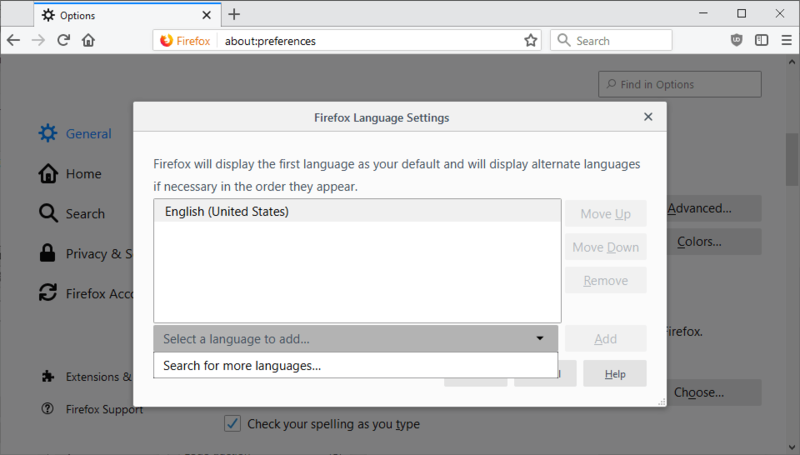 Firefox supported two options back then to change the language of the browser’s interface: download and install language packs, or re-install Firefox using the installer of the desired language. 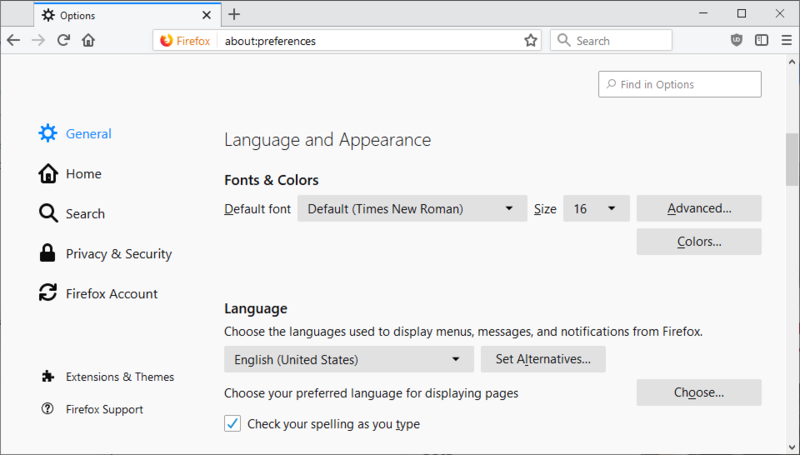 The release of Firefox 65 improves how Firefox users may change the browser’s interface language. 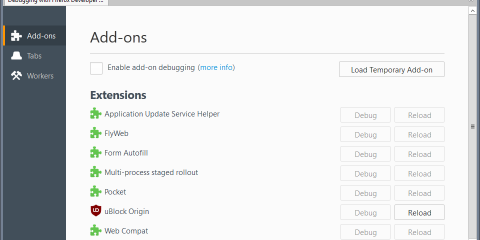 Mozilla integrated language switching options directly to the Firefox settings. 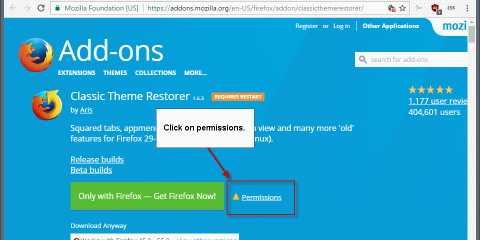 Firefox users may still download a different language version of the web browser and install it over the current installation to change the language, but they don’t have to if they run Firefox Beta or Stable. Load about:preferences in the browser’s address bar. The current interface language is displayed under language. Click on “Set Alternatives” to add additional languages to Firefox. Select “Select a language to add” and then “Search for more languages”. 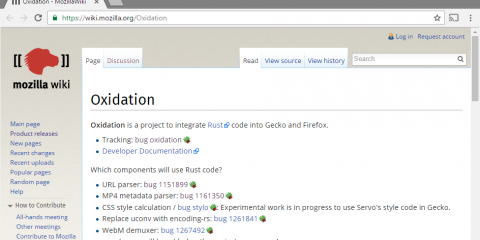 Firefox retrieves the list of supported languages from Mozilla. Click on “select a language to add” and pick one of the available interface languages to add it as a language in Firefox. Tip: tap on the first letter of the language’s name to jump to the letter in the listing. Firefox displays a restart notification afterward if you changed the main display language. The restart notification is displayed in the old and new interface language. Select “apply and restart” to restart Firefox so that the new interface language is used. Ghacks needs you. You can find out how to support us here or support the site directly by becoming a Patreon. Thank you for being a Ghacks reader. The post How to change the Firefox interface language appeared first on gHacks Technology News.